The Press of Robert LoMascolo: Success! Success! 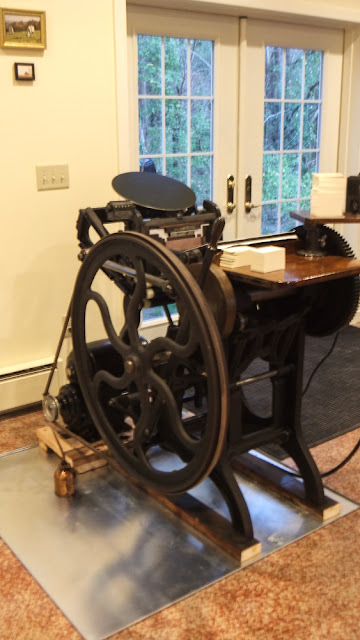 The 1899 press I have been restoring ran today, and beautifully, for the first time in many decades. Nice, I restored a 1904 C&P 14.5 x 22 incl. the Pin striping in Gold Leaf. I know how it feels to print on them again.